In what ways were empires and their colonies transformed by Jews? This chapter answers that question by looking at the interactions between the two main “minority” groups on the Dutch Antillean island of Curaçao—Afro-Curaçaoans and (Sephardic) Jews. There were many political, business, social, and charitable connections. This chapter analyzes the horizontal relationships between Afro-Curaçaoans and Jews while also providing background and context on the history of Jewish-Afro-Curaçaoan relationships on the island. In keeping with the comparative turn in ethnic history, and current discussions around transnationalism and decolonization, this chapter re-centers the framework of analysis as being between a minoritized and a dominant culture. It brings to light intersecting histories that have been obscured by a focus on groups in isolation or in terms of their interaction with the “dominant” culture. 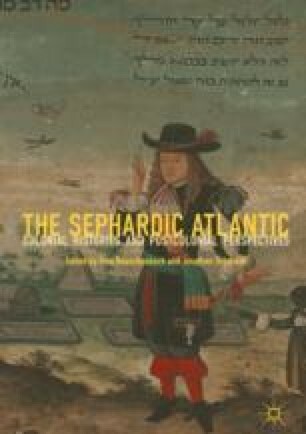 The critical examination of Sephardic and Afro-Curaçaoan interactions challenges the prevailing logic of competition between minority groups.